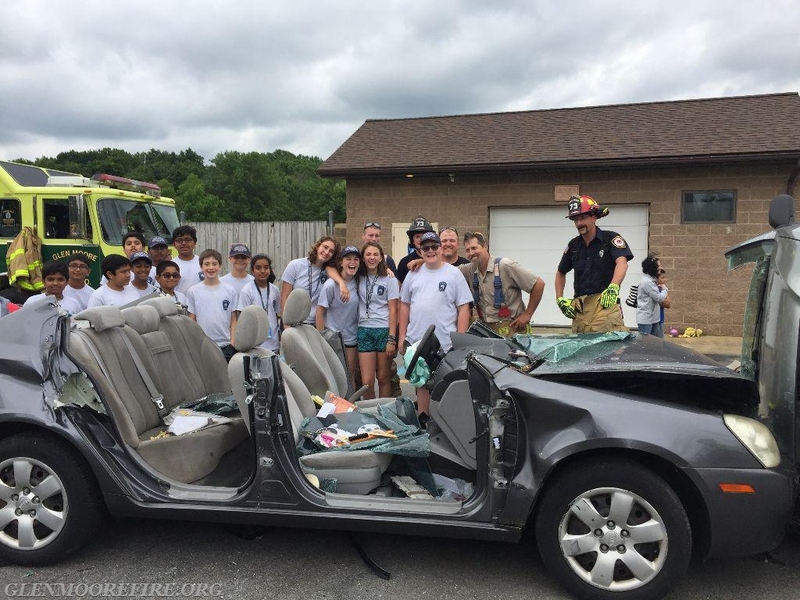 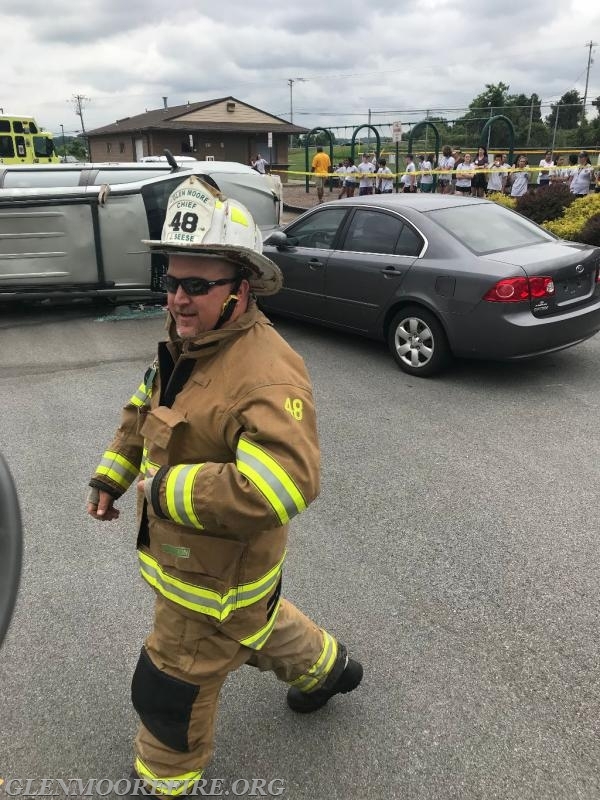 On Friday morning, the Glen Moore Fire Company was invited to participate in the Upper Uwchlan Township Junior Police Academy. 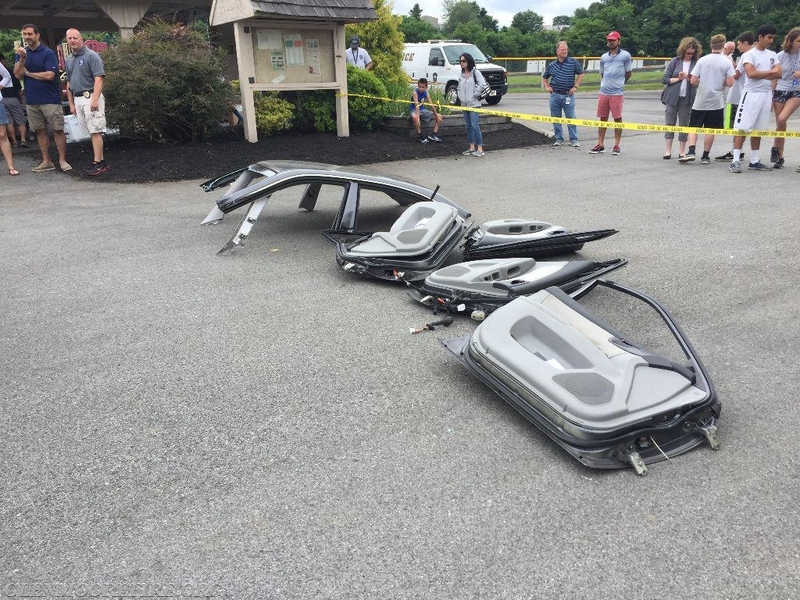 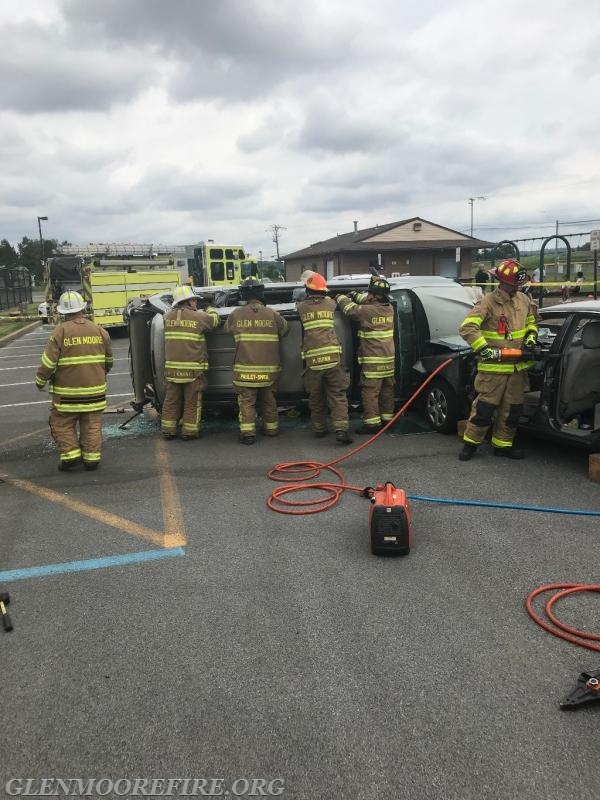 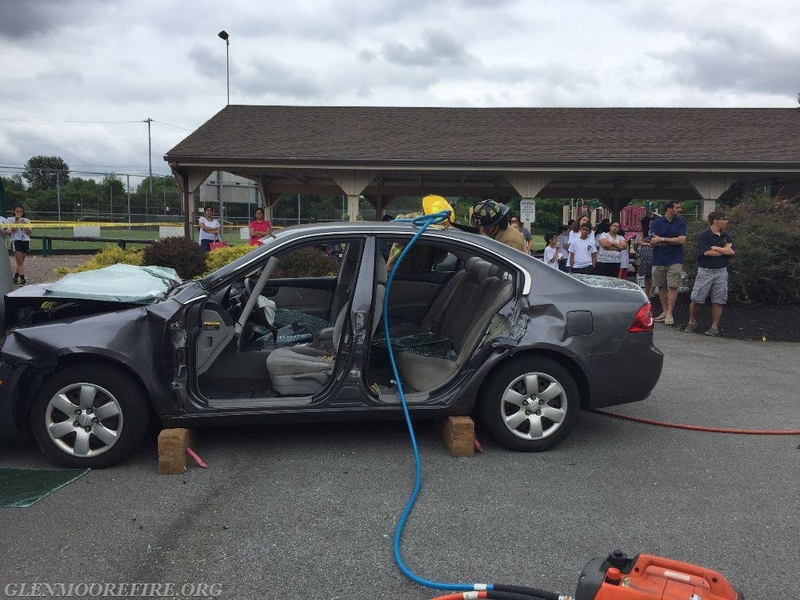 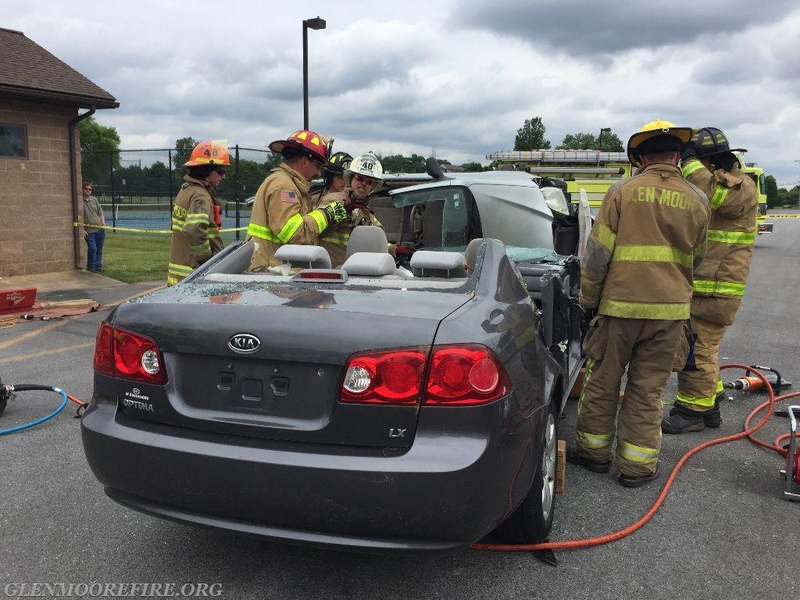 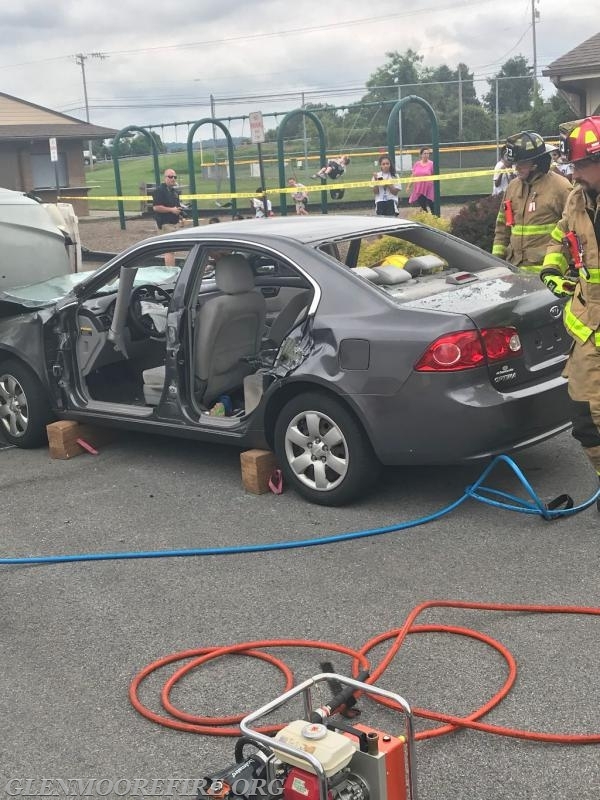 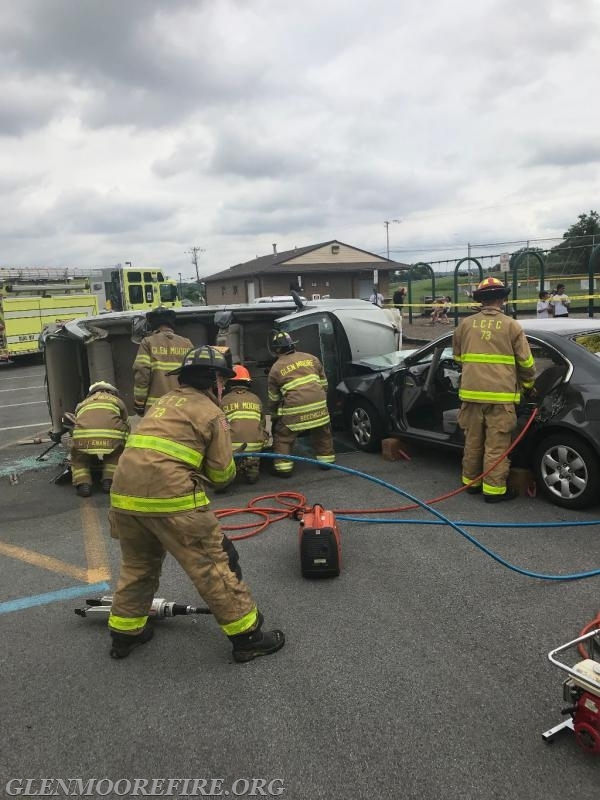 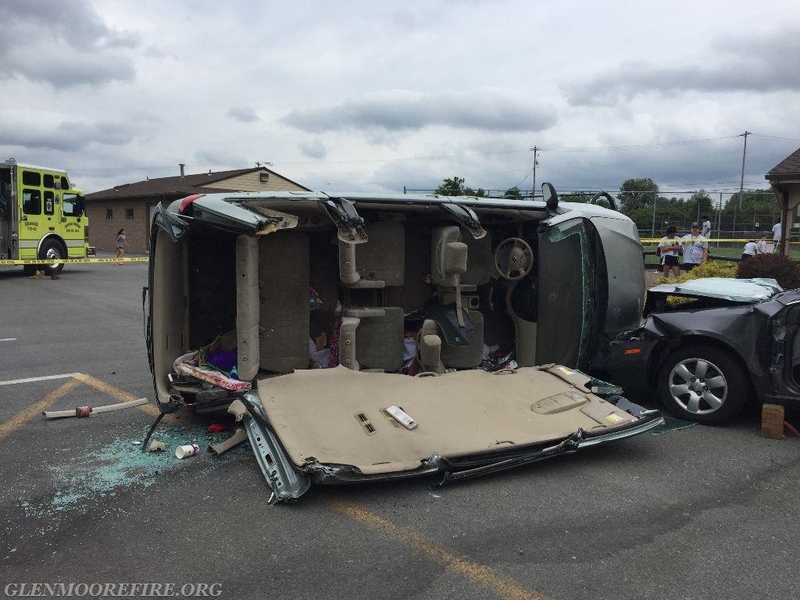 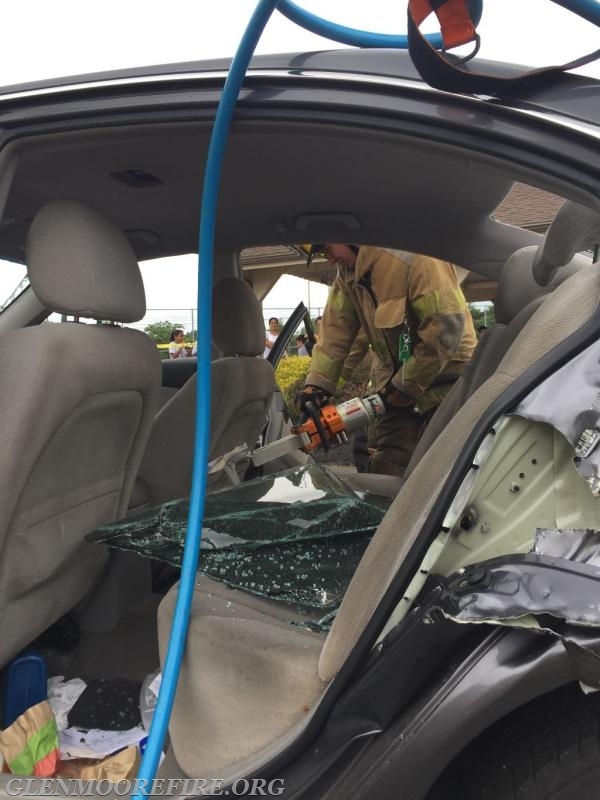 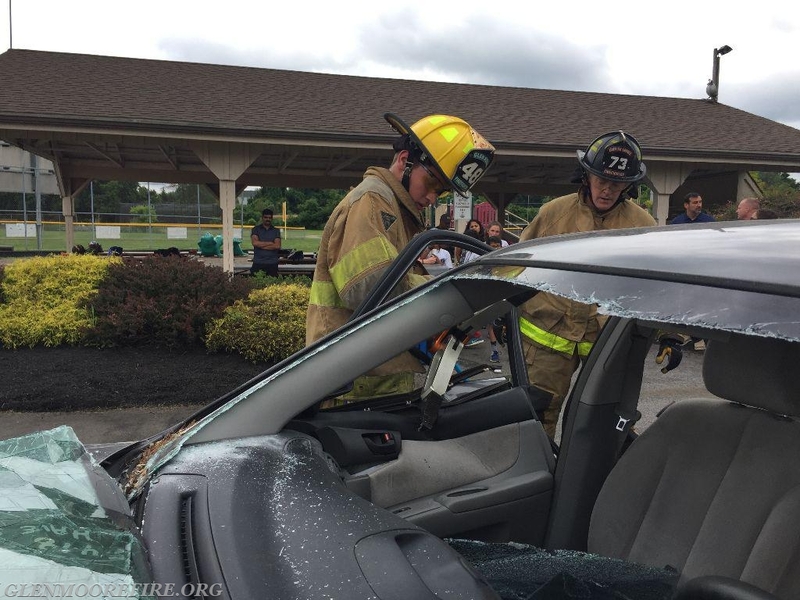 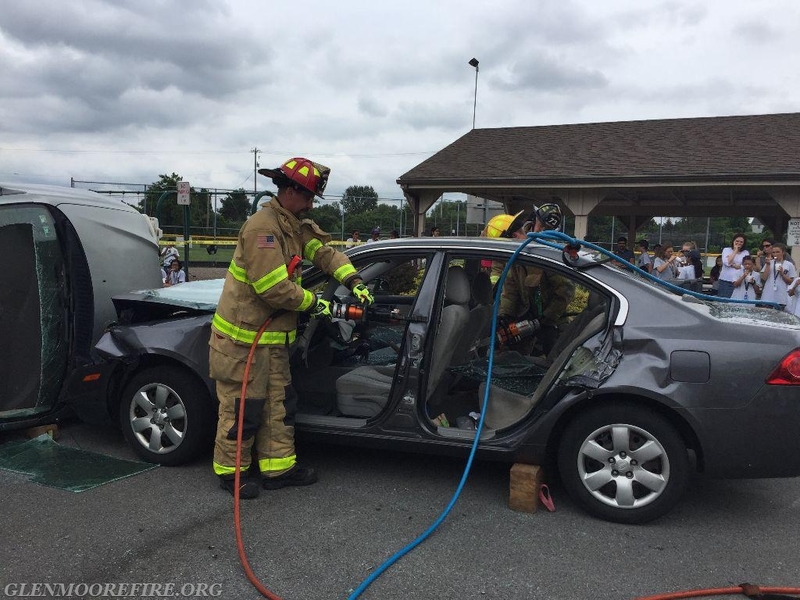 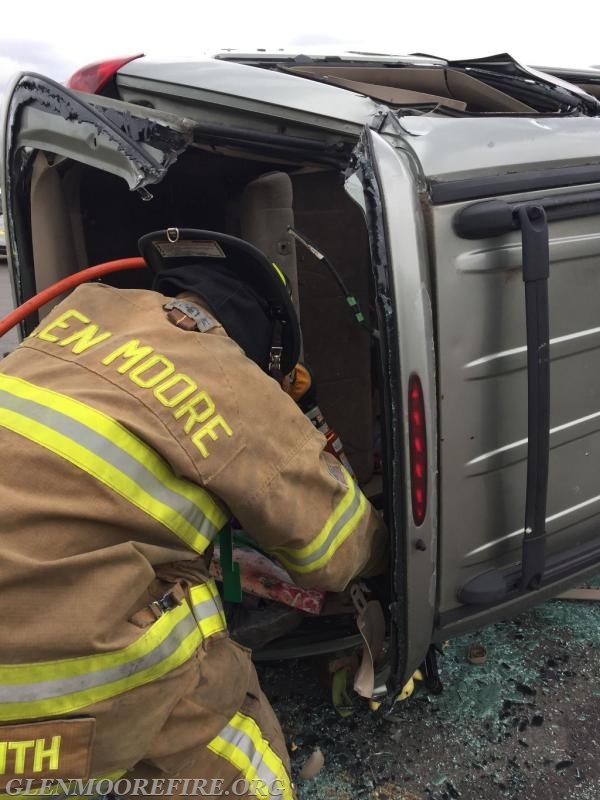 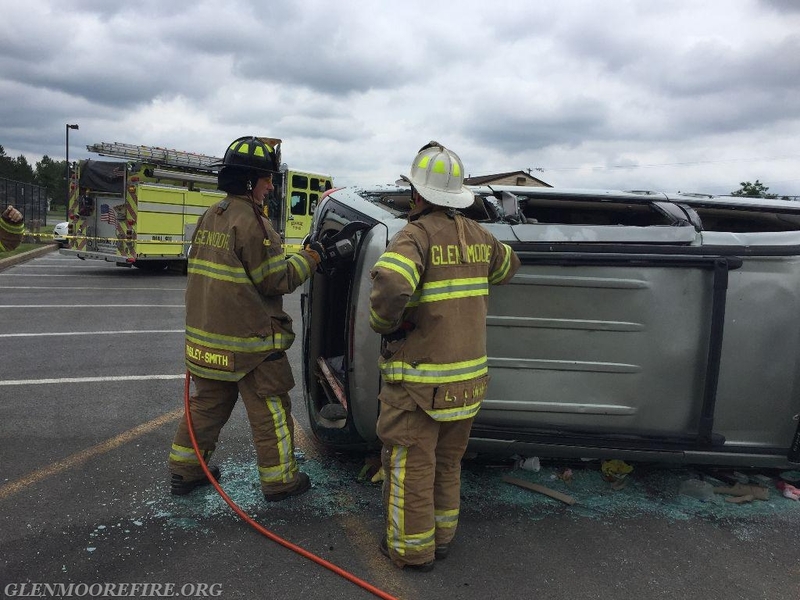 Along with Ludwig's Corner Fire Company (Station 73), the crews demonstrated vehicle extrication techniques by cutting up 2 cars. 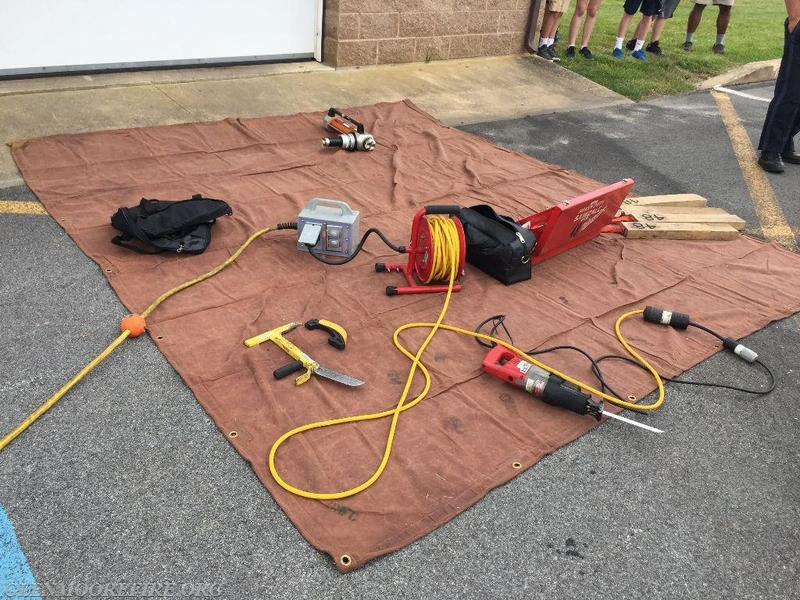 The cadets seemed to enjoy watching this demonstration and were amazed with the various tools that were used in the demonstration. 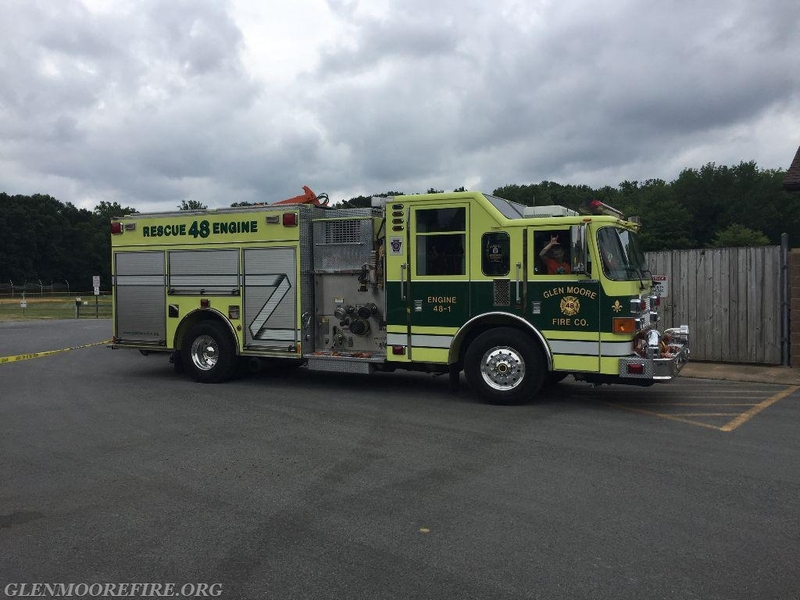 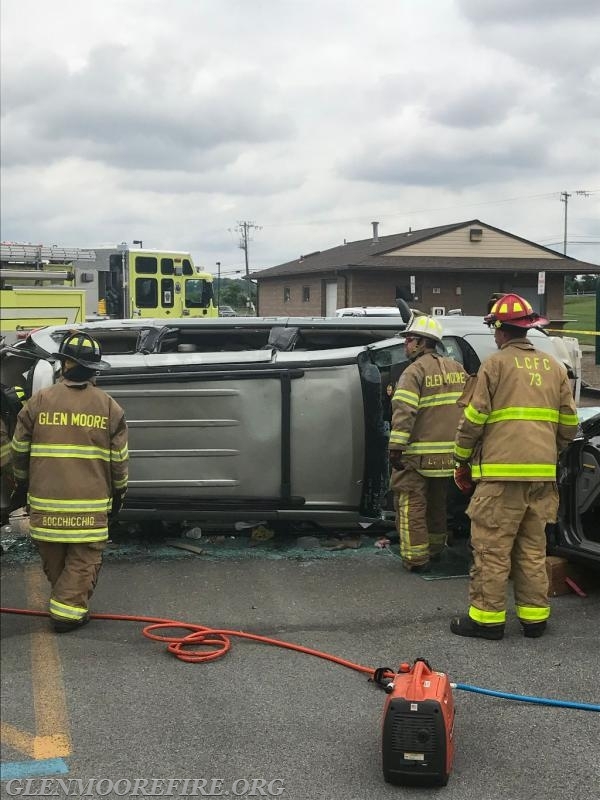 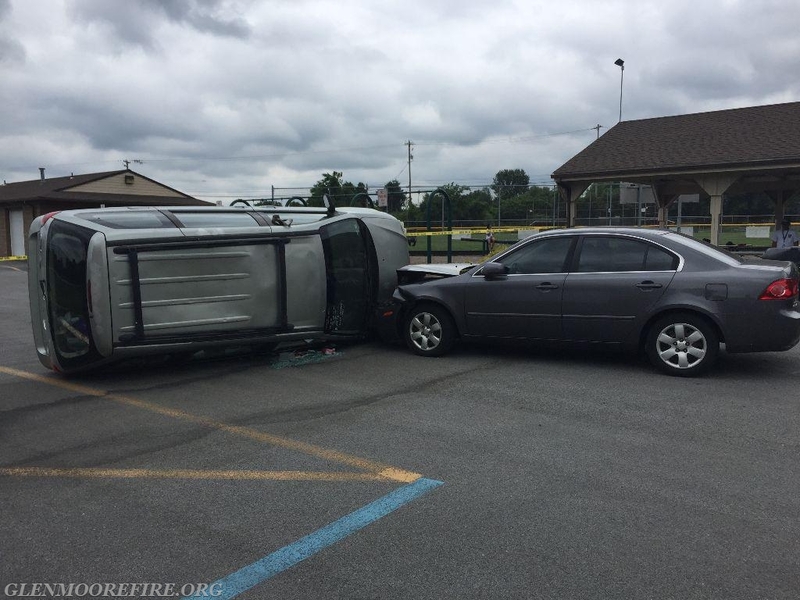 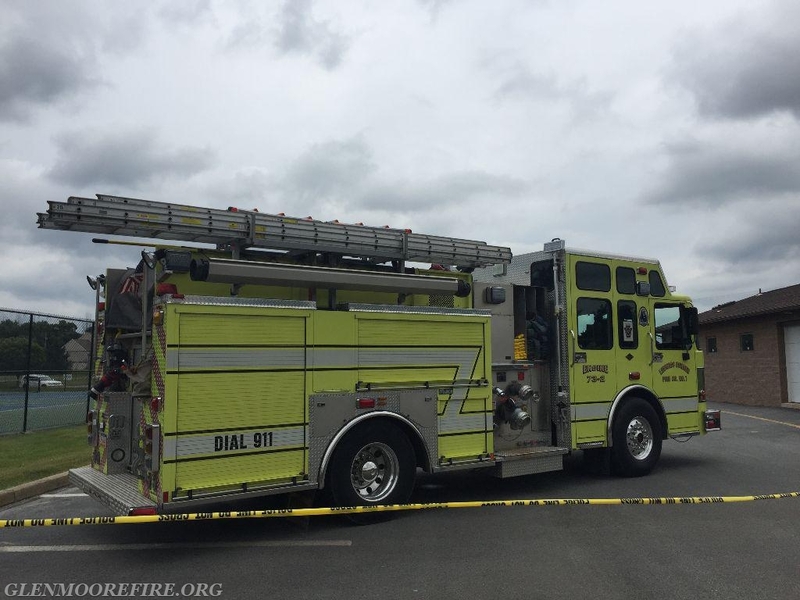 Both the Glen Moore Fire Company and Ludwig's Corner Fire Company provide fire and emergency medical services to parts of Upper Uwchlan Township. 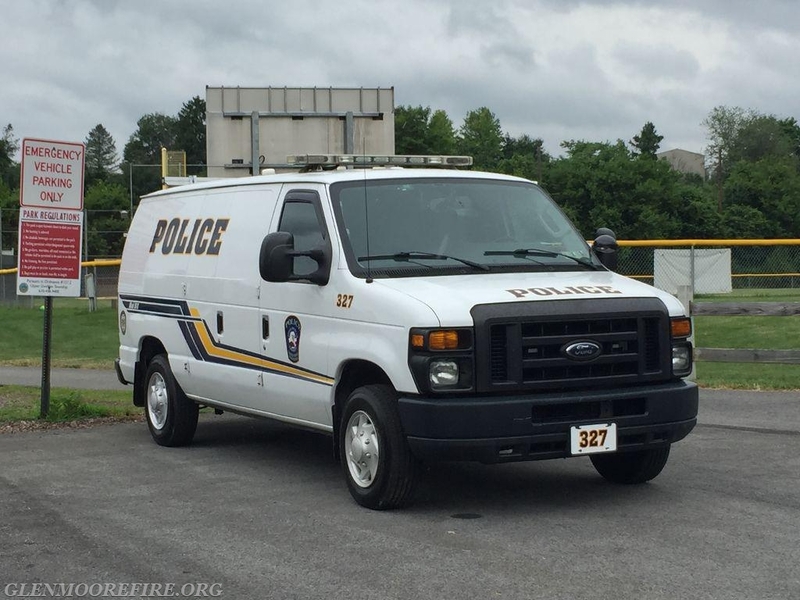 The members of GMFC would like to thank the Upper Uwchlan Township Police Department for their invitation and for the excellent lunch! 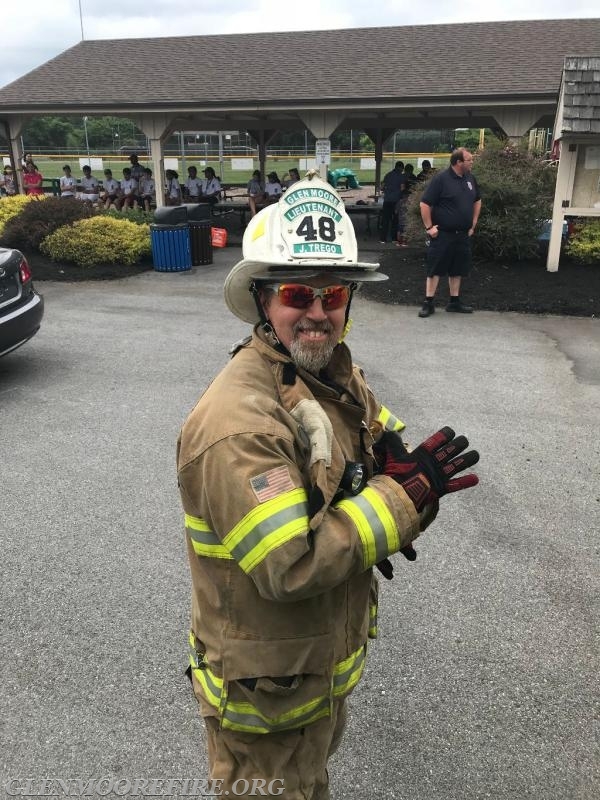 Lieutenant A Jason Trego was all smiles at the event! 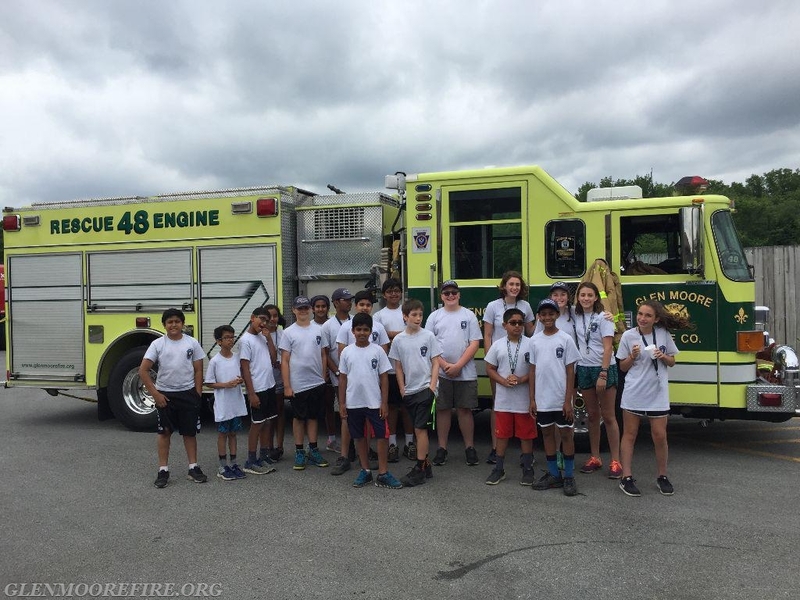 Junior Police Cadets with the fire crews!